CALBAYOG CITY – Department of Public Works and Highways and the Department of Education is in continued pursuit of making better and comfortable facilities to cater to the school children within the jurisdiction of the district. 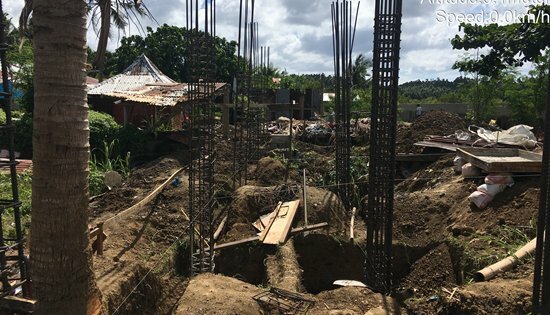 Under the CY 2018 Basic Educational Facilities Fund (BEFF) for the construction of classrooms batch 3, schools under the Calbayog City Division are recipients of the two-storey buildings for the betterment of the students and their education. The Secondary and Elementary schools will have 2-storey 4-classroom school buildings and 2-storey 6-classroom school buildings with a total allocation of P191M. Calbayog East Central Elementary School, Limarayon Elementary School, Panlayahan ES, Sinidman Occidental ES, Tarabucan Central Elementary School, Danao I ES, Bugtong ES, San Joaquin Central Elementary School, Malaga National High School, R. Lentejas Mem. School of Fisheries, San Policarpo National High School, Calbayog City NHS and Malaga NHS - Peña I Annex School are Calbayog City Division’s schools that will benefit the said fund. These are DepEd managed, partially urban public elementary and secondary schools located in Calbayog City. There is a profound impact in having decent instructional spaces in both facilitators and students in the sense that there is high retention of teachers and student learning if there is good classroom size and space.